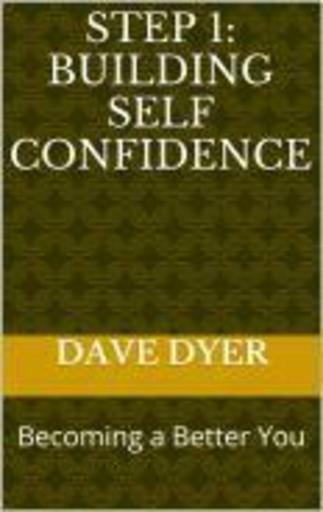 Self-confidence, we all need it if we are going to succeed in our personal and professional lives. For some it comes easy, while others struggle to attain or maintain it. In this book I will go over some basic strategies and techniques on how to build confidence in yourself and maintain it through times that may test it. These are strategies that I use myself on a daily basis, and have found they work well for me. In my younger years I struggled with confidence issues, and found that when I reached a certain age some of the issues that I thought I had mastered started to sneak their way back into my mindset. Rebuilding this confidence was the inspiration for me to try and help others with similar problems. So read on and hopefully you can use the information in these pages of some benefit to you. Remember, belief in yourself is the first step in taking on a challenge, whatever it may be. Our self-belief has a profound effect on our confidence and on the quality of our lives. If a person believes that he or she lacks basic skills to solve problems then they may lose heart and give up. In contrast, a person who has lesser abilities but who believes in themselves stands a much better chance of being successful. This is because their self-belief gives them the confidence to try. Have you ever wondered why only a few students in a class ask questions? Is it because the others have understood all the points made during a lecture? Or is it because they lack the confidence to ask a question? More often than not, it is the fear of making a fool of themselves that stops students from asking questions. In other words, they lack self-confidence. The only way this confidence can improve is when they start believing in themselves. This is why self-belief is so important. It gives an individual the confidence to aim for the moon. It overwhelms negative thoughtsand drives away the fear of failure. It is the best antidote against self-flagellation, which turns several talented persons into under-achievers. It gives the students the confidence that they have nothing to loose. On the contrary, they realize that they have everything to gain by asking a question, even if it happens to be a silly question. Abraham Lincoln is a fine example of a man who believed in himself. He lost every election until he went to the Senate and stood for the post of the President. He did not allow his failures in professional and personal life to erode his self-belief. Had he done so, the history of the US would have been different. Self-belief gives us the confidence to accept failure. It teaches us the importance of positive thinking. Those who have self-esteem don’t talk about failures; instead, they try to find out why they did not succeed. They look for lessons that can be learned from their experience. This is not a simple issue of semantics. It is the power of positive thinking, and it is available to only those who have self-esteem. Once again it is self-esteem that gives us the confidence to enter a new group, and become a part of it. Those who lack self-esteem are very reluctant to approach a new group. They don’t want to expose themselves to the ridicule of being seen as shy, nervous or ignorant. They would instead prefer to stay in their corners. In fact, lack of self-esteem stands out like a sore thumb at parties, at meetings, at conferences and at social or official functions. Individuals with low self-esteem avoid introducing themselves to others. They prefer to stay in the shadows, away from the sights of others. However, their colleagues who enjoy high self-esteem dominate the discussions. They are sought after by others for information. They are also invited to other meetings and parties — all because their self-esteem gives them the confidence to open up before a group of strangers. It is the same student syndrome that is reflected in an individual’s working life too. Low self-esteem also lowers an individual’s self-confidence. He takes to liquor or drugs to boost his confidence artificially. Nothing can be more futile or dangerous. Such behavior further destroys an individual’s self-esteem. The best way to break out of this pitiable situation is to build self-esteem, which is not easy. The individual has few options but to begin life afresh. The best is to look for a new workplace and a new set of friendsbecause it is easy to deal with people who have no preconceived notions about you. But nothing will work until the individual develops self-respect, and the self-belief that he or she is as good as others. They must realize that they are not the only ones who have strong and weak points; the others tosuffer from the same defects. The only difference is that the others project their strong points whereas they project their weak points. All that they need is to refocus their priorities. They will find the elusive self-confidence. It’s great that you have decided to build your self-confidence. However, there are a few obstacles that can keep you from achieving your goal. Most of the time, these obstacles are so obvious that they do not seem like obstacles at all, and all you can see is that your resolve to be self-confident is not taking you anywhere. Therefore, it is important to become aware of these seemingly harmless obstacles that have all the power to stop you in your path. Let’s have a look at what could be the reasons that you are not moving ahead in top gear. Some people simply have the talent to waste a lot of time without realizing it. They lack the self-discipline to stop their actions that waste time. Imagine a situation wherein you have a list of tasks to be completed successfully as a part of your confidence building program. However, the moment you enter your home you involuntarily grab the remote and start channel surfing on the idiot box. It’s only after an hour that you realize that you have been vegetating in front of the T.V in the time you had scheduled to do other tasks. You realize that you have already disturbed your schedule. In a self-development program, it’s you and only you who has the power to change yourself. Nobody will come to monitor your actions and progress. You have to keep a watch on your inner graph and see to it that it goes up! Avoid temptations and stick to your schedule. Are you lazy and keep procrastinating? Procrastination is one of the greatest and most silent killers of confidence. It does not let you complete your jobs and tasks in time; things keep mounting and finally you get overwhelmed by all the many things that have piled up and need your attention. The very basics of building confidence start with listing little things that are doable. You gain more confidence to take on greater tasks and responsibilities by successfully completing the lighter tasks at hand. However not being prompt and delaying important things till they become urgent makes you miss the opportunity of working on your confidence and puts you in danger of falling back again into your earlier cycle, thereby wasting all the effort and energy you had put into becoming aware of your low confidence trap and getting out of it. Does your old self keep pulling you back? Assume. Assume. Assume is the technique here. Assume that you are a different person with habits you wanted to inculcate. Imagine the way you would like to be. Imagine a self-confident you taking things in your stride. Then try to bring into your daily actions the way you have imagined yourself to be. “I dream by painting. Then I paint my dream” was the technique what the great painter Vincent Van Gogh followed. Your assumed self will make people react to you in a different way, according to your new self. This will establish your new self to the world and will help you keep up the new self before it becomes a habit – a second nature! If you behave indecisively and helplessly, you will invoke proportionate reactions from people around you, thereby reinforcing your previous self. This throws you back again. Remember that you cannot get ahead if you keep looking back. Realize this and stop sliding back. Don’t copy self-confidence. Do not try to become like someone else. One of the greatest mistakes that people make when trying to increase their low self-confidence is falling in love with an image of their icon who may be a sports star or a film star or any celebrity and then they try to be like them. This is one of the greatest mistakes that people can commit when trying in increase their self-confidence. You have to be yourself at all costs. Getting inspired is wonderful but merely aping these guys won’t take you anywhere. There is no need for any two people in this universe to be exactly the same. The challenge is to be yourself in the world that is trying to make you like everyone else.